Isaac Asimov’s name in the field of science fiction literature equates to the name “Zeus” in Greek mythology. He created vast worlds and filled them with characters ranging from leaders who run and ruin planets, an average 20th-century Jewish retiree who ends up being the hero of the universe, a humanoid robot who died a human being, and a widow using a robot’s malfunction for fame and wealth. No matter how diverse Asimov’s characters may be, they all move in the same plane and the same world where he explores the questions between the human-robot relationships. To what extent can robots serve humans? Is it possible for humans to fall in love with robots? Can robots fall in love with humans? Can robots become aware of their existence? Would they have their set of morals and ethics? Would they have a concept of freedom? Can they display emotions? Would they know that “enjoy” is? Can they feel pain? Here are eight short stories by Isaac Asimov that every science fiction lover should read. Spoilers are coming your way! Dr. Susan Calvin, US Robots’ chief robopsychologyst was interviewing LVX, dubbed as Elvex. Elvex was created with a different kind of fractal design. He was made to mimic human’s brain waves. The results allowed the robot to dream the way humans do. Eventually, Dr. Susan questioned the robot who the man is. He admits that he was the man. Dr. Susan destroys him immediately. How about psychological troubles? Isaac Asimov also covered these very human problems, especially in Catch that Rabbit. Dave is a new robot, and he works for a team running an asteroid field test. Suddenly, he stops producing ore. The robot isn’t understood much yet since it’s new. The robot heads other robots, represented by his fingers. Roboticists aren’t fully aware of his bugs yet, but they believe that it’s a form of Heisenbug, a software problem causing Dave to be confused to cue in orders. Because of the bug, Dave got too confused and pressured to make decisions because he has a lot of subsidiary robots under his control. When orders are sent to Dave, he delivers multiple tasks to his subsidiary out of indecisiveness. Apparently, robots can feel the pressure too! Much like the human psyche, the robot mind may also become aware of responsibility and accountability. The robot Dave malfunctions because of the thought of leading subsidiary robots. Eventually, the humans in the team send the orders to the subsidiary robots, including Dave, and they all perform well – an explicit assurance that the accountability and responsibility is passed onto the humans and relieved from Dave. How about female robots? Can they feel what human women go through universally? Asimov explores this in First Law. Emma is a lost robot on one of Saturn’s moon. She bumps into Mike Donovan. In this story, Mike Donovan shares an encounter with a malfunctioning robot, Emma. They become stranded in a storm. Instead of protecting Donovan, Emma chooses to protect her offspring which she built. 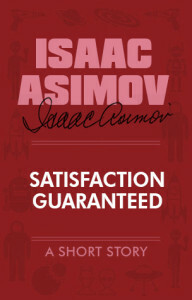 Here, it is clear that Asimov is looking at the possibility for a female robot to have maternal instincts. What’s spectacular about Emma is the fact that she created her offspring. Out of nothing, she built something she would relate to as a child. Much like how motherhood is, Emma chooses to dismiss the first law of robotics and protect her child instead – something very human. In 2052, Stephen Byerley has been elected as World Co-ordinator. He has been consulting with Susan Calvin to know what to do with both pro-Machines and anti-Machines movement. Some robots follow the very essence of the law while some think that some robots follow it in a different manner – humans causing damage to more humans may be killed. This kind of thinking allowed the robots to finalize that the only way to prevent the killing of more humans is to take control of humanity, the primary reason the laws of robotics were made in the first place. Asimov covered human hysteria a lot throughout his books and short stories. Even after his death, Asimov both had loyal fans and haters – both asking the question of the possibility of war between humans and robots. Asimov explores this as well while presenting the other possibility of peacefully co-existing with robots. 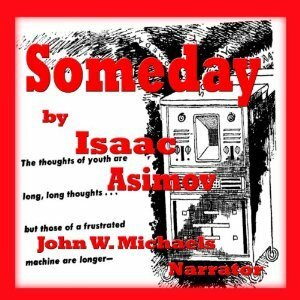 Not so different from today, “Someday” is set at a time where computers are the primary tool for organizing human’s lives. 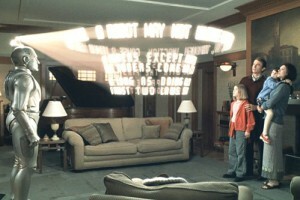 Humans are thought to be computer operators where binary numbers are the main way of reading and writing, so actual letters and words are removed from the academic curriculum. The story revolves around a pair of boys who decided to dismantle and study an old Bard, a former computer model created to read fairy tales to children. They tinkered with the Bard, hoping to upgrade it and make it expand its vocabulary. To no avail, they decided to leave the idea and just go to the local library to learn “scribbles” – words – that they can use as a way of passing secret codes to one another. 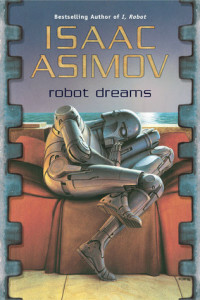 In Asimov’s stories, it’s not uncommon for a robot and human to get too attached to each other. In fact, it’s his most common theme – the possibility of robots and humans building friendships and relationships. This short story stars Tony, a humanoid household robot, who works for Claire Belmont. Claire’s husband works for US Robots and is, naturally, very busy. It doesn’t take Tony a long time to realize that Claire has low self-esteem. He tries to fix this by decorating the house and treating her to a much-needed make-over. Seeing that what he’s doing is working, he steams it up by pretending to be Claire’s lover and deliberately letting their neighbors see them kiss. In the end, Claire falls in love with Tony. Claire, being a wife who was always left out, found satisfaction in Tony. One cannot say if the playing ground was fair between the robot and her husband since Tony was programmed to make his masters happy. Claire’s reaction towards Tony’s actions, however, are very human – frailty and submission for attention and significance. An unfortunate string of events forced Tony to go back to the lab, and Claire is left in love with a robot and depressed. Isaac Asimov plays with different genres from time to time. He covers comedy, drama, and even suspense thrillers. Mrs. Lardner quickly climbs the ranks of the world’s wealthiest after receiving a vast amount of pension from her husband’s death. She wisely invested her money, collected artifacts, and created light-sculptures for everyone to see during her parties. She lived the typical A-life. Mrs. Lardner was also known for her crew of robots who worked in her household as guards of her collection and valuables. Her crew is a group of robots who aren’t adjusted. They are malfunctioning robots, and she likes them that way. She believes that they shouldn’t be adjusted and that their imperfections are what make them unique and lovable. At the other side of all the money and fame is John Travis, a roboticist from US Robots and an enormous fan of Mrs. Lardner’s light-sculptures. He was also infamously known as the person who kept on imitating her works to no avail. John was a good artist, but not as good as Mrs. Lardner. He went through countless humiliations and rejections because of this which only pushed him to do better. Wanting to impress Mrs. Lardner, John attended one of her parties and deeming it as an act of kindness and gratitude, fixed one of Ms. Lardner’s robots, Max. Here’s the catch: When Mrs. Lardner found about what he did to Max, she revealed that it was Max’s malfunction that allowed him to create the light-sculptures. After her rage, she murdered John with her jeweled knife. After police investigations, they realized that John didn’t even resist Mrs. Lardner. He allowed her to kill him. Well, you would probably do the same thing if you found out that you’ve been trying to defeat the artworks of a robot this whole time. 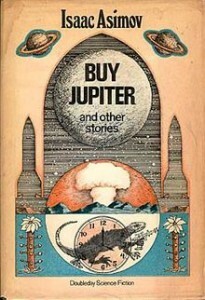 This short story has got to be one of Asimov’s most famous one. 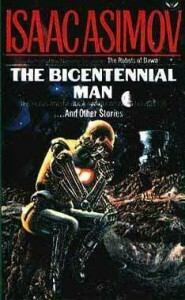 “The Bicentennial Man” boasts two awards: the Hugo Award and the Nebula Award for Best Science Fiction Novelette. 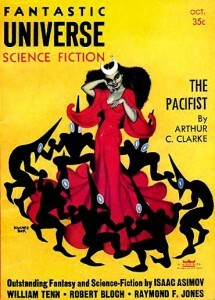 The book, The Positronic Man (1993) was based on this short story. It was brought to the big screen in the 1999 film, Bicentennial Man where Andrew Martin was played by the late Robin Williams. It doesn’t take the father – referred as “Sir” – to realize that there’s something different about Andrew. Andrew, though a programmed robot, has an intricate skill on woodcarving. He even read books on woodwork and challenges himself to create more complicated figures. Sir finally falls into his curiosity for Andrew’s talent when the robot uses the word “enjoy” to describe why he carves. Sir and Andrew builds a woodcarving business. Eventually, Andrew saves enough money to be able to pay for something he always wanted – body upgrades. He had everything altered, and the updates gave him some human traits. Little Miss grows up and gets married. She gives birth to her child, Little Sir. With Little Sir’s arrival, Andrew feels that he can now purchase the next thing he wanted the most – his freedom. Sir gives Andrew his freedom. Not long after, he passes away, with the robot beside his deathbed. As years pass, Andrew gets more committed to becoming human. The ultimate decision to completely remove any trace of his robotic life comes when he asks a robotic surgeon to alter his positronic brain so that he will age and eventually die. With this sacrifice, the World President signs a law officially recognizing Andrew Martin, a human. The declaration was made on his 200th birthday. The overarching theme of human-robotic relationships resounds mostly on “Bicentennial Man.” What’s magical about this piece is how Little Miss gave a robot its name, Andrew. Little Miss gave him an identity, the first thing a human is given during his/her birth. She then builds a good kind of friendship with Andrew, about him as her best friend. Not long after, Sir gives Andrew a hobby or some passion. Though a robot, he doesn’t dabble in math or science. Instead, he gets into art – the very essence of liberty and art in the human life. “Bicentennial Man” was translated into a movie in 1999. In the film, he had the chance to meet with the World President for the last time to convince her to acknowledge him as a man. The World Leader asks him why becoming a man is so important to him. These are just some of Asimov’s many short stories. Some of these were turned into films which influenced a lot of other writers and even non-science fiction lovers.